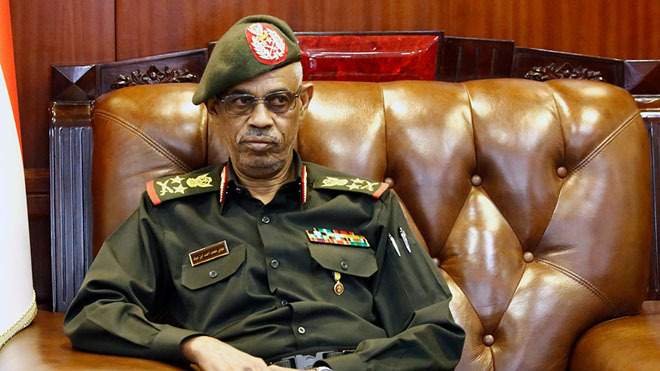 Major General Awad Ibn Aouf, resigning from the post of the interim military council, after the expulsion of President Omar al-Bashir in Sudan Lieutenant General Abdel Fattah Abdelrahman Burhan has appointed the new head of the military council. According to the news agency, Sudanese interim military council officials have made more changes. General Omar Zain al-Abideen has been appointed the head of the council’s political committee. Earlier on Friday, the military council had been told that the interim council would make the airport a negotiator with all the political forces of the country. General Omar Zain al-Abideen said the country’s need for a comprehensive solution to the ongoing crisis. The military council will fulfill the demands of protesters. We are not greedy of power. Retired President Omar al-Bashir was taken into custody. The courts will decide against the elements involved in the massacres of protesters. He said that the military council will not give Omar al-Bashir to the World Warrior Court nor any other Sudanese leader will be handed over to another country or court. Addressing a news conference on Friday, he said that we are the protectors of public demands and this mandate has all agreed to us by political parties. It was more to say that we are not the military powers. According to General Omar Zain al-Abideen, the Interim Military Council does not have a solution to Sudan’s problem. But instead of the current situation, protesters will be able to correct. The head of the political committee of the Sudan interim military council further added the military council welcomes talks with the armed group to end the crisis. We will not impose anything on our behalf. The council is trying to develop a favorable atmosphere for negotiations. General Omar Zain al-Abideen said the military council is expected to transition the transitional political power in more than 2 years, however, if all of this could be done without any chaos, it would be a month’s duration for it. He said that the former ruling party of the deposed President Omar al-Bashir will be allowed to attend the next upcoming election in Sudan. The head of the political committee of the Interim Military Council rejected the possibility of transferring any other country to the deposed President Omar al-Bashir, saying that it could be prosecuted in Sudan itself.